I met Jenny & Amanda almost 5 years ago through a mutual friend. I could immediately tell they were amazing individuals and we instantly clicked! Our friendship quickly developed and each step of the way, their love for one another never ceased to amaze me! They are both so outgoing and loving with hearts of gold. We planned their wedding for almost 2 years and even had to move the date from a Saturday in October to a Monday in December due to Jenny’s deployment (United States Coast Guard). The winter wonderland themed wedding was one to remember. 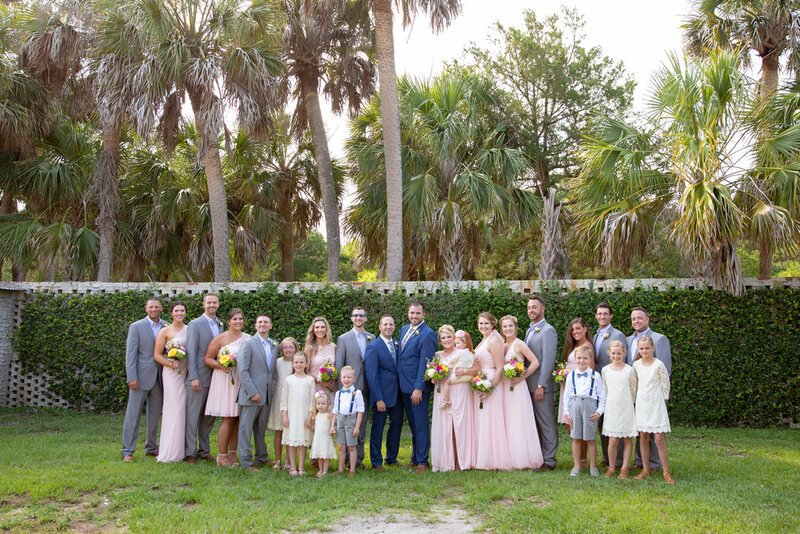 Magnolia Plantation Carriage House in Charleston, SC was the perfect location for the ceremony & reception. It was surrounded by over-grown oak trees, colorful gardens, and sat directly on the Ashley River. Magnolia Plantation and Gardens has been selected as one of “America’s Most Beautiful Gardens” by Travel + Leisure Magazine. 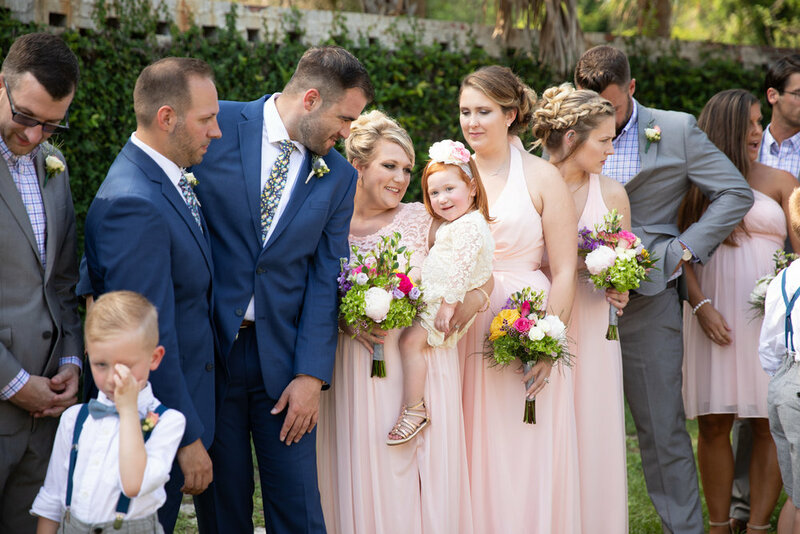 Jenny & Amanda are always the life of the party and what better way to prove that than to have mini fireball shots for guests at the end of your ceremony? It was a fun surprise for everyone, even the officiant pulled one out of his coat! The cocktail hour continued the excitement with a “shuck-it-yourself” oyster roast! After the guests cleaned up and took their seats in the Carriage House the bridal party stormed in with yellow Steelers “Terrible Towels” (Jenny’s family are HUGE Steelers fans). After a southern-style dinner by Crazy Dutchman Catering, Jenny & Amanda cut into a rainbow layered cake decorated to look like white birchwood. Followed by cake, guests enjoyed a bourbon & cigar bar on the back deck as the sun set over the river. Ryan of Globaltruth Entertainment, didn’t need much to pump up this wild crowd! It was a night full of dancing, drinking and good times!